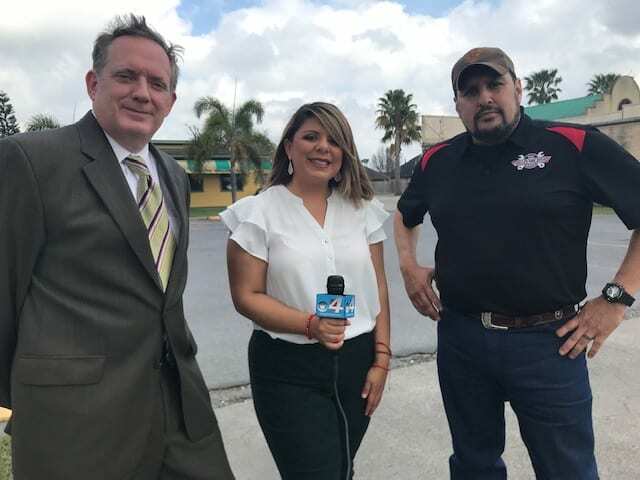 El Rey Del Taco Lawsuit filed as Food Poisoning Lawyer Tony Coveny meets with victims across Brownsville who contacted Ron Simon & Associates at 1-888-335-4901 or online. An El Rey Del Taco lawsuit was filed by the Food Poisoning law firm of Ron Simon & Associates this week as more and more victims come forward. 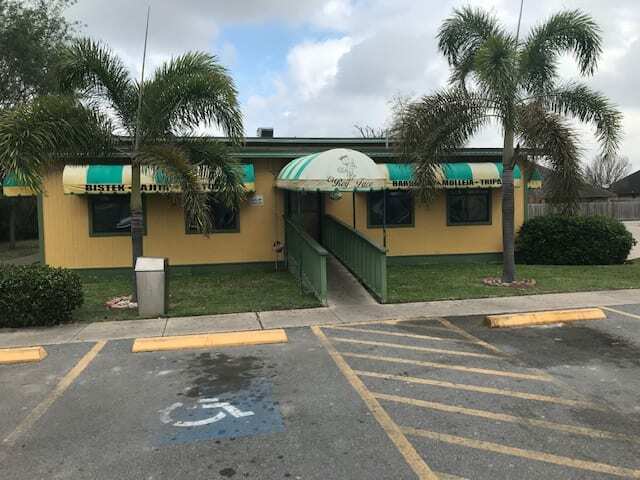 Food Poisoning attorney Tony Coveny, Ph.D., met with reporters and many of his clients on Tuesday, February 5th, as the investigation continued. A notice on the front door stated that no admittance was permitted unless accompanied by a health department representative. It remains unclear if: (1) the lock-out is based upon findings by the health department that the sanitation and safety conditions at the restaurant were too dangerous to continue operations; (2) the restaurant was operating without a license; or (3) the health department is worried the contaminant might still be viable – so far, no positive identification of the pathogen has been announced. Food poisoning lawyer Tony Coveny, pictured with one of the victims, Jorge Vasquez, and a reporter from Channel 4. Dr. Coveny also interviewed with Univision’s Paulina Hernandez later in the day and met with other families who contacted Ron Simon & Associates (1-888-335-4901) throughout the day – it was Ron Simon & Associates who filed the El Rey Del Taco lawsuit. At present, the authorities in Cameron County and Brownsville are still investigating the outbreak. 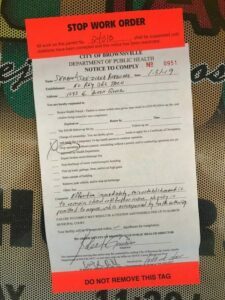 At first glance, according to Food Poisoning lawyer Tony Coveny, the El Rey Del Taco appeared a normal road-side eatery. One of the many people he met with yesterday stated that the establishment had been there for over a decade and used to be their favorite place to go eat. While well-established, it also appeared to be in need of some repairs and clean-up. It was hard to tell if the condition was due to being closed for nearly a week or this was its usual condition. Because Cameron County does not have electronically searchable health inspections, the past violations were not available for review. 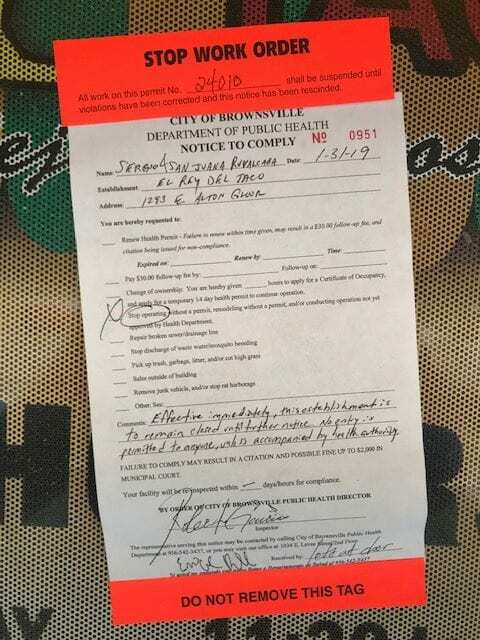 Food Poisoning lawyer Coveny even tried to pay a visit to Cameron County’s Health Department but it was closed by that time – as were the courts on Monday when Ron Simon & Associates first filed the El Rey Del Taco lawsuit. 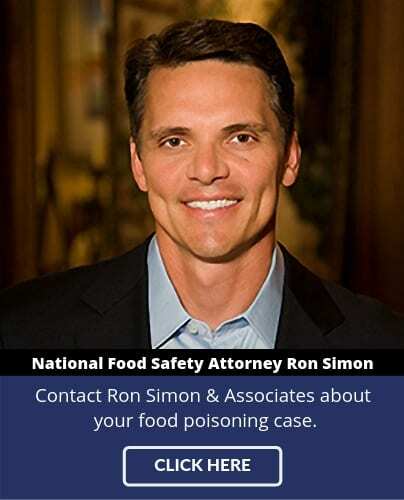 The food poisoning law firm of Ron Simon & Associates has ordered a copy of those records and will likely report on their content after receiving them. Tony Coveny, Ph.D., a food poisoning lawyer with Ron Simon & Associates, was able to meet many of the families affected by the El Rey Del Taco outbreak, including the family identified in the El Rey Del Taco lawsuit. 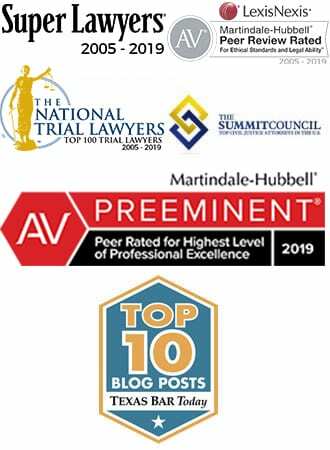 Each of the victims either contacted Ron Simon & Associates through its web-link, the web page of the firm, or by calling its 1-888-335-4901 toll-free number. Each had a horror story to tell about the effects of the food borne pathogen each victim ingested – vomiting, nausea, diarrhea, fever, fainting, shock, dehydration, etc. At least seven of Ron Simon & Associates clients were sent to the hospital, including a number by ambulance.